The focal Greek accusation of Yugoslav Macedonian policy after the WWII was that the recognition of Yugoslav Macedonians as a separate ethnolinguistic nationality was a tool for the creation of a Greater Yugoslavia of the communist dictator Josip Broz Tito – a country which had to dominate in the Balkan affairs. Yugoslav post-1945 policy of the recognition of Slavo-Macedonians as a separate ethnolinguistic entity was extremely important for Athens as the creation of the separate (socialist) political unit (republic) of Macedonia within the Yugoslav federation had its irredentist implications for the territorial integrity of Greece. The crux of the matter was that Yugoslav authorities as have been ideologically backed by the inter-war Comintern’s attitude and politics that Slavo-Macedonians were a separate nation which as such deserved its own united national state claimed after 1945 that the Macedonian diaspora living outside of Yugoslavia (in Greece and Bulgaria) has to be incorporated into the “motherland” – the Yugoslav Macedonia. Therefore, socialist Yugoslavia indirectly claimed parts of Bulgaria and Greece that was seen by both Sofia and Athens as a policy of the creation of a Greater Yugoslavia at the expense of the territorial integrity of Bulgaria and Greece – two countries which never recognized the existence of any “Macedonians” on their state’s territory. The Macedonian state is fairly young and the Macedonian nationality is recently created in comparison to the other Balkan cases. The Macedonian identity is, as all other national identities, a product of imagined community and, therefore, the Macedonian national identity has been constructed the same way as, for instance, the Greek national identity, just rather later on. If we accept the leading Western (German) theory of the Slavic origin, the Slavs have been living since the end of the 6th century on the territory of Macedonia while the Macedonian national identity started to be developed only from the late 19th century. It is a historical fact that Slavo-Macedonian populated territories had always been part of other states like Bulgaria, Byzantine Empire, Serbia, and Ottoman Empire. Among all Yugoslavia’s provinces, Macedonia was longest occupied by Ottomans – from 1371 to 1912. After the collapse of ancient Kingdom of Macedon, Macedonia as an independent state appeared only in 1991 (like Slovenia as well) but having nothing in common with the previous one except having the same state-name. Subsequently, modern Macedonians are historically a “stateless ethnic group” (and, therefore, not a nation from the Western point of view) like many other Balkan ethnic groups like Gypsies or Vlachs. For that reason, three Balkan national states rather divided the territory of historical-geographic Macedonia in 1913 than to support the creation of a new Balkan independent state which would not have any historical background of the existence. 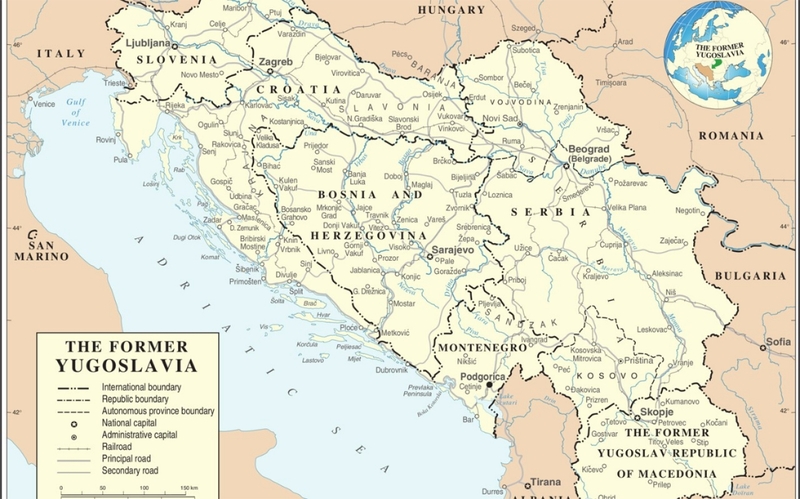 However, a socialist Yugoslav historiography, for the very political purposes, reinterpreted the Balkan medieval history in order to overcome a very bad reputation of Yugoslav Macedonians as the “stateless ethnic group” but not a historical nation. As a result, a (quasi) Macedonian national state was found in the Empire of Samuel which existed as a state from 976 until 1018 when it was conquered by Byzantine Emperor Basil II. It is quite understandable, henceforth, that Bulgarians see the Empire of Samuel as a part of the history of Bulgaria and Bulgarian people as their claims that Samuel was a Bulgarian and ruler of the Bulgarian state are founded on the number of historical sources of the time. Nevertheless, FYROM Macedonians base their claim on the Macedonian character of the Empire of Samuel on the fact that the capital of this state was Ohrid, a city located on present-day FYROM (on the very border with Albania), whereas the medieval Bulgarian rulers administered their state traditionally from Preslav in Bulgaria. Macedonians in SR Macedonia are Serbs. Bulgarians comitted many crimes through the centuries against Serbs there. Have you ever heard of Jovan Babunski? He was a hero of Serbian chetnik movement in Macedonia. Listen to the song about Jovan Babunski – Serbian trumpet… What do you say about Jovan Vladimir, Emperor Dusan, Marko Kraljevic… And there are also words of Ivan Gundulic about Alexander the Great. It is true that Ivo Dživo Gundulić, the most famous Slavic Baroque poet, born in Dubrovnik, was calling Alexander the Great as “Srbljanin”. 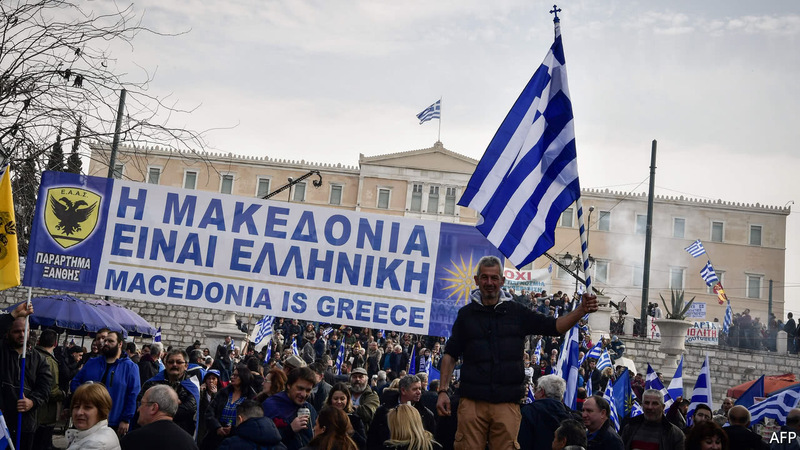 There is only one Macedonia and it is a part of Greece! The rest are Titoist falsifications.